The album was built over a three year period. The opening track “‘What We Do’ became the track that set the scene for each studio session, a way of Swindle explaining what he was setting out to achieve. Featuring an (on paper) unusual combination of R&B singer Daley, Grime legends P Money & D Double E, and an opening speech from Bristol-based spoken word artist, Rider Shafique - “It describes the narrative of the record overall and helped set the agenda for what followed - I made a lot of tracks that were really good that at the end of the day didn’t fit this project”. The resulting work has a pervading sense of triumph against the odds, and a celebration of togetherness at this moment of fragmentation that manages to feel both optimistic and nostalgic. A record that could have only been made in today’s multicultural Britain. “No More Normal is the idea of us doing our thing, our way, with no rules or limitations. It is jazz influenced as much as it is grime influenced. It’s London influenced as much as it is LA influenced. I can work with D Double E and Nubya Garcia, these records are my imagination brought to life in musical form”. 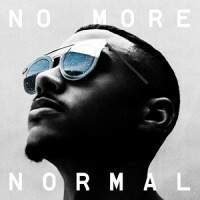 Millie says: High energy Hip Hop at its finest, Swindle’s album No More Normal varies from Jazz to Hip Hop, Grime to R&B and just a bit of everything in-between. My personal favourites are ‘Knowledge’ and ‘Grateful’, articulate lyrics and boss beats create this confident and collaborative album.